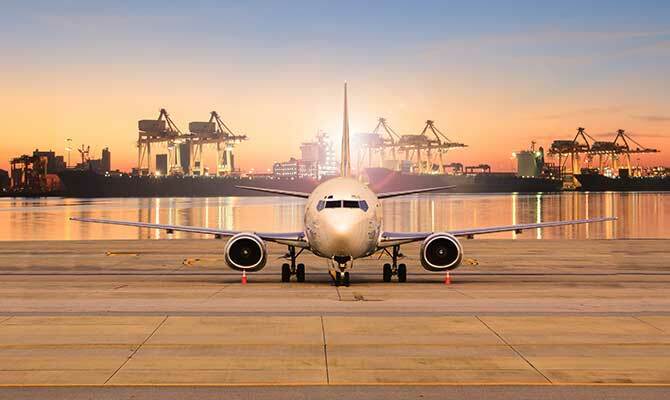 Air Freight services – import and export, express and consolidated. Our Air Freight services provide complete solutions – import and export, express and consolidated. Eclipse Worldwide is a full IATA member and our team are CAA qualified for hazardous air cargo and DfT security trained, giving you the confidence that we are qualified to handle any cargo we are presented with. We help you make an informed choice over how your goods move. We co-ordinate order progress with the supplier and you, the client and ensure optimum use of transport to satisfy speed, cost and security. Working with a network of carefully chosen partners around the world we provide our local knowledge and expertise and the certainty of total control over the movement of the goods. For more information on our Air Freight services, please call us on 01604 759888.